Guest blogger Eric Roberts provides a year-end update on the search for John Lennon's white Rolls Royce. 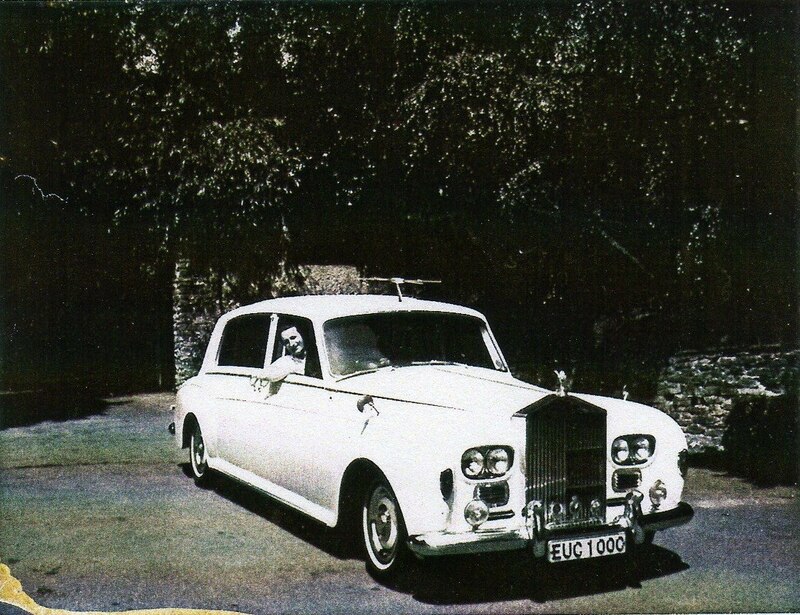 It's been 18 months since we began researching the whereabouts of John Lennon's white Rolls Royce, registration EUC 100C, chassis 5VD63. Sifting fact from fiction, myth from misinformation, gradually the untold story of Lennon's second 1965 Phantom V, which came to epitomize his public love affair and social activism with Yoko Ono, began to emerge. However, despite our best efforts, we have been unable to discover who currently owns EUC 100C and where it is located. Indeed, to the best or our knowledge, it has not been seen in public since 1985, when it was withdrawn from a charity auction at Christies in London. The only clues we have to go on are as follows. According to a New York Times article in 1999, it was once owned by Alan Klein, possibly a part of the financial settlement when he successfully sued the Beatles in the early 1970s. Second, if we are to believe Alan Hobbs - who left a brief but tantalizing comment on this blog nearly 12 months ago - EUC 100C is still residing somewhere in England. Frustratingly, for the time being, the owner wishes to remain anonymous. The fate of John and Yoko's famous white Rolls Royce could not be more different to that of his original black Phantom V, registration FJB 111C, chassis 5VD73. At one time “the most expensive car in the world”, today Lennon's so-called “psychedelic Rolls Royce” is proudly displayed in the Royal British Columbia Museum in Victoria, Canada. Given the anonymity and secrecy surrounding its present ownership and location, it is possible that we shall never know what became of EUC 100C. The information we have gathered below represents only fragments from the “life” of one of the most historically significant automobiles ever built. We can only hope that the world will not continue to be denied closure to the narrative of EUC 100C and that it may one day be put on permanent public display, like its twin in Canada. In the meantime, no one should be taken in by false claims that Lennon's white Rolls Royce is on view in the town of Pensacola, Florida, or that it is part of the Tebo Auto Collection in Colorado. Both of these look-alikes are left hand drive, and there is no record to our knowledge of EUC 100C ever having been shipped to the United States. We would welcome your contributions to this on-going research. Any reader's recollections or inside information, no matter how incidental, will be gratefully received and published. The same applies to any photographs of John Lennon's white Phantom V that you may have at your disposal.